Welcome to the Autumn edition of County Jottings. Our golfing season is complete and we have had a very good year, with two wins in the 1st Team and Seniors North of the Thames Leagues. We then followed up by winning both the English Golf Union South Eastern Group finals played for the respective Daily Telegraph Salvers. A good year but one that was nearly a great year. We just missed out by one shot on winning the 1st Team County Qualifying and by one shot again to win the Seniors County Qualifying. 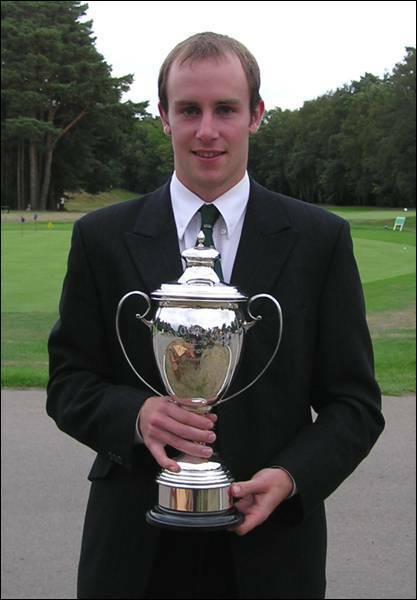 Stoke Park Club missed becoming the English Champion Club by just one shot and Tom Lawson (Ellesborough), our County Champion, also missed out on becoming English County Champion at Woodhall Spa by – you guessed – just one shot. Lastly Gerrards Cross finished second (sadly not by just one shot) in the English Junior Champion Club again at Woodhall Spa – another fine result. Congratulations to all the winners of our Championship and Trophy Events, also to those who represented the County at Junior, Colts, Senior and County levels. 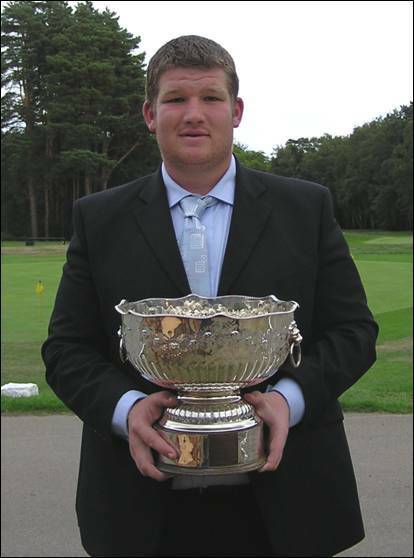 Stephen Lewton (Woburn) represented England in the Home Internationals and is now in the England Elite Squad. David Lane (Goring & Streatley) again represented England in the Seniors Home Internationals and European Team Championships. 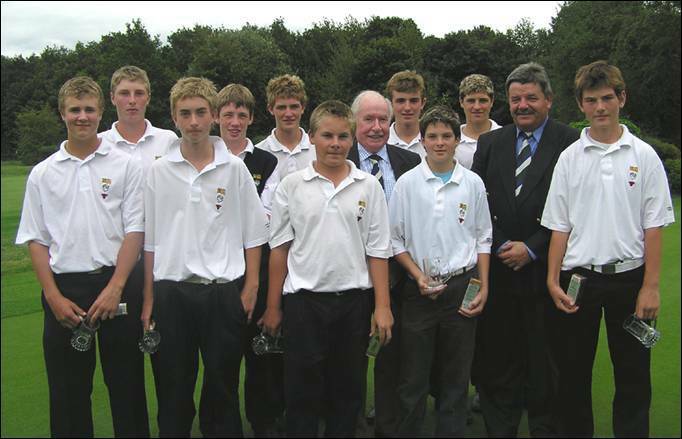 Eddie Pepperell (Frilford Heath) represented England U16 against Scotland and is now in the Under 18 Squad. Finally Mathew Johnson (Chipping Norton) represented England U16 against the English U18 Girls, a fitting reward for his wins in our two Order of Merit Events. An excellent year and it would be hard to find another County who won two League Titles, two League Finals, finished 2nd in five National Events and produced Internationals at all levels this year. Well done to all those concerned. Our 2007 fixture list appears on the following pages and will be updated as soon as provisional dates and venues have been confirmed. Please visit our website to obtain details of our events and to download entry forms. These will be available from early January. Starting Sheets and Results are regularly updated throughout the season and we hope you find this service useful. Our website also contains details of all the Clubs within BB&O and contains links to other useful websites. Please let us know if you would like us to include any other information. Finally a special thanks to all the Clubs and Members who willingly gave up their courses for our events this year. We are appreciative of your support of County Golf. 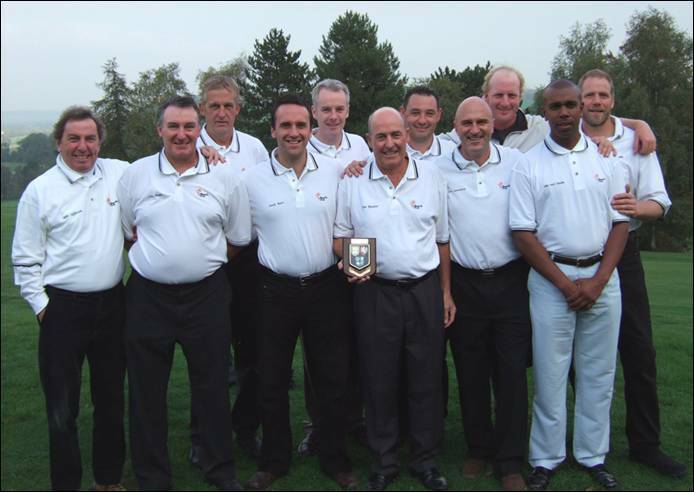 Having won the English Golf Union South Eastern Group North of the Thames League on ‘goal difference’, thanks to Bedfordshire’s win against Hertfordshire; we played Hampshire for the Daily Telegraph Trophy on Sunday 15th October at Ashford Manor. We looked in control of the morning foursomes but disappointingly only held a 1 point lead at lunchtime. The Captain, Duncan Forbes, made sure he put his most experienced players in the crucial games and his strategy paid off as we quickly took a commanding lead which we were never to surrender. 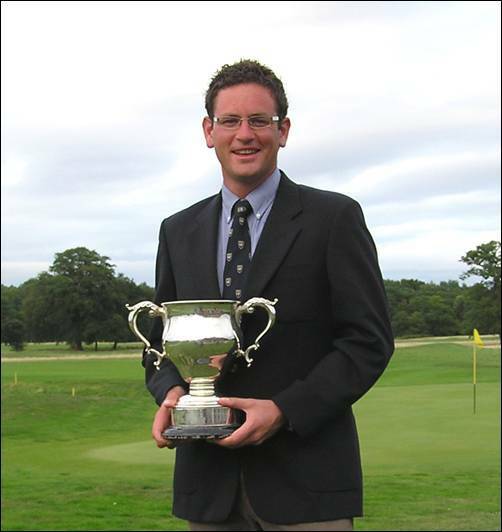 Matt Briggs had the honour of holing the winning putt before we eventually took the Salver 8½-3½. Team at Ashford Manor: Matthew Briggs (Stoke Park), Craig Buttivant (Gerrards Cross), Kevin Freeman (Stoke Park), Tom Lawson (Ellesborough), Luke Rusher (Stoke Park), Darren Walton (Woburn), Nick Woodage (Newbury & Crookham), Adam Wootton (Oxford City). With a number of players back at College in the USA and not having played a competitive game since the beginning of July, it did not augur well for our final match against Essex at Magnolia Park on 9th September. Behind after the morning foursomes we were not able to make any headway in the afternoon and eventually went down 4-8 to an Essex Colts Team who have not been beaten in the past 3 years. Team at Magnolia Park: Adam Birdseye (Hazlemere), Alex Carey (Sand Martins), Matthew Hawkes (Royal Ascot), Josh Kensit (Richings Park), Tim Newton (Reading), Nick Scrutton (Maidenhead), Adam Wootton (Oxford City), Dean Wright (Reading). 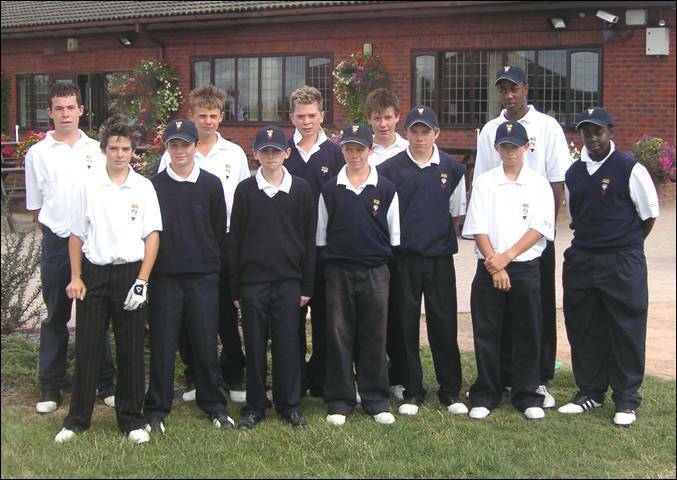 The Under 14 Team had a good win against Hertfordshire at Bird Hills on 10th August. There were some emphatic wins, not least from Rob Pennel (Castle Royle) who cruised to an 8/7 victory. 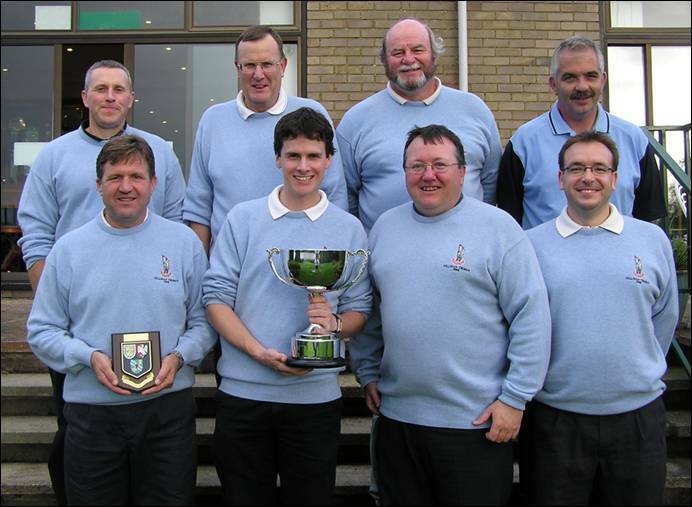 Team at Bird Hills: Chris Atkins (Studley Wood), Adam Batty (Hazlemere), Charlie Butler (Donnington Grove), Jake Canning (Stoke Park), James Foster (Newbury & Crookham), Alister Haynes (Frilford Heath), Nigel Hunt (Frilford Heath), Bati Mupasi (Frilford Heath), Rob Pennel (Castle Royle), Harry Whittle (Woburn), Sam Williams (Castle Royle), George Wilson (Woburn). In this re-arranged Under 14 fixture we just lost out to Middlesex at Hazlemere on 16th August. There were a number of good displays from some of the youngsters who were having their first taste of County golf as they stood in for some our boys who were playing in the EGU Under 14's Championship. Team at Hazlemere: Liam Angell (Newbury & Crookham), Chris Atkins (Studley Wood), Alfie Bull (Richings Park), Charlie Butler (Donnington Grove), James Foster (Newbury & Crookham), Christopher Neville (Newbury & Crookham), Rob Pennel (Castle Royle), Lyle Phillips (Goring & Streatley), Jack Rivitt (Witney Lakes), Charlie Scroggs (Witney Lakes), Sam Short (Maidenhead), Josh Stanners (Hazlemere), James Webb (Thorney Park). The Under 16s' had a great win against Surrey on 31st August at Huntercombe. Kindly sponsored by 'The Mugs' this annual event has seen some famous names taking part - Luke Donald and Paul Casey for example - in the 13 years it has run. On hand to present the boys with a memento of the day was 'Top Mug' Rodger Davis a former European Tour star and currently enjoying his 'retirement' on the Seniors Tour. 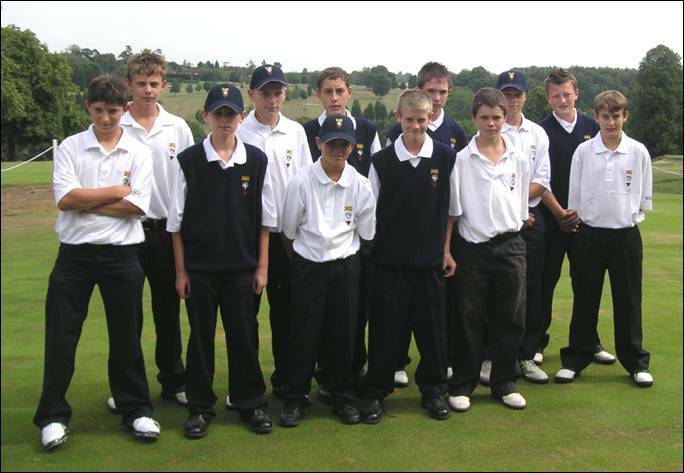 Team at Wellington College: Adam Batty (Hazlemere), Alfie Bull (Richings Park), Charlie Butler (Donnington Grove), James Foster (Newbury & Crookham), Alister Haynes (Frilford Heath), Nigel Hunt (Frilford Heath), Nick Obergan (Gerrards Cross), Rob Pennel (Castle Royle), Harry Whittle (Woburn), George Wilson (Woburn). Team at West Sussex: Jim Cameron (The Oxfordshire), Bob Clarke (Mentmore), Rod Crisp (Ellesborough), Ian Disney (Frilford Heath), David Doodson (Temple), Robert Gill (Gerrards Cross), Gilbert Runnicles (Gerrards Cross), David Stevenson (Ellesborough), John Summers (Oxford City), Tommy Wells (Burnham Beeches). Having set a target of winning our last 2 matches the Seniors achieved the 1st leg with a closely fought win at Aspley Guise against Bedfordshire on 7th September. With just 3 points after the first 6 games, it did not look good until a strong performance from the 'tail' saw us just win through 6-4. We need a big win against Essex to have any chance of reaching the Final. Team at Aspley Guise: Jim Cameron (The Oxfordshire), Bob Clarke (Mentmore), Rod Crisp (Ellesborough), Duncan Forbes (Sonning), Neil Franklin (Beaconsfield), Robert Gill (Gerrards Cross), David Lane (Goring & Streatley), Gilbert Runnicles (Gerrards Cross), David Stevenson (Ellesborough), John Summers (Oxford City). 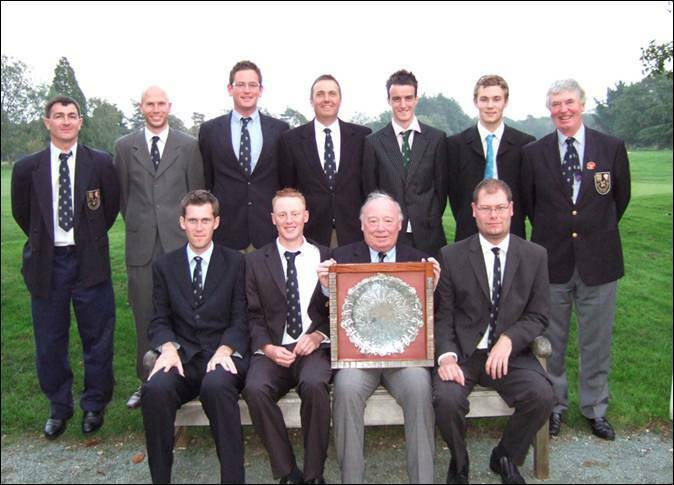 A nail biting finish to the season saw the Seniors comprehensively beat Essex at Denham on 11th September. Needing to win by a big margin to ensure the League title, meant that nerves were taught as the last four games entered the closing holes. Three of those went to the 18th but we got the 2½ points necessary to beat Essex into second place by just one point. We look forward to playing Hampshire in the Final. Team at Denham: Jim Cameron (The Oxfordshire), Bob Clarke (Mentmore), Rod Crisp (Ellesborough), David Doodson (Temple), Duncan Forbes (Sonning), Robert Gill (Gerrards Cross), David Lane (Goring & Streatley), Gilbert Runnicles (Gerrards Cross), David Stevenson (Ellesborough), John Summers (Oxford City). Having won the English Golf Union South Eastern Group North of the Thames League by the narrowest of margins we played Hampshire for the Daily Telegraph Trophy on Monday 16th October at Mill Hill. An extremely close match saw Hampshire leading 3-2 after the first 5 games. We were all square in two others, up in two and well down in the other game. A win looked unlikely until a sudden twist saw us capitalise on some Hampshire mistakes and we turned the two even games in our favour, winning both on the last. The two players who were up consolidated their wins and we took the Trophy 6-4, a fine win for Robert Gill’s team in his last match as Seniors’ Manager. 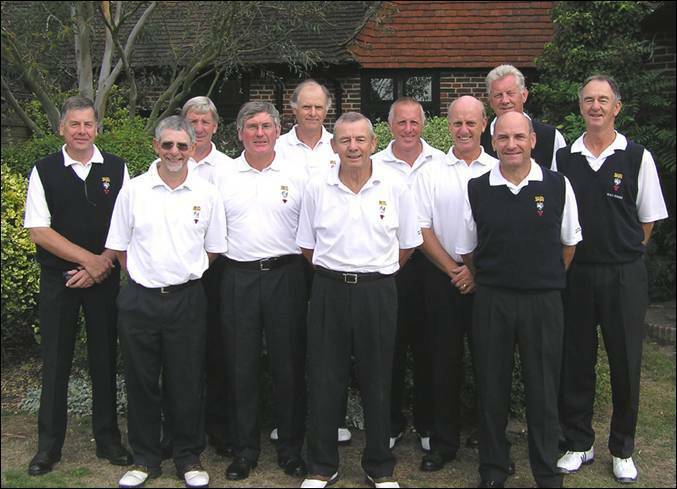 Team at Mill Hill: Jim Cameron (The Oxfordshire), Bob Clarke (Mentmore), Rod Crisp (Ellesborough), Duncan Forbes (Sonning), Robert Gill (Gerrards Cross), Ian Disney (Frilford Heath), David Lane (Goring & Streatley), Gilbert Runnicles (Gerrards Cross), John Summers (Oxford City), Tom Wells (Burnham Beeches). 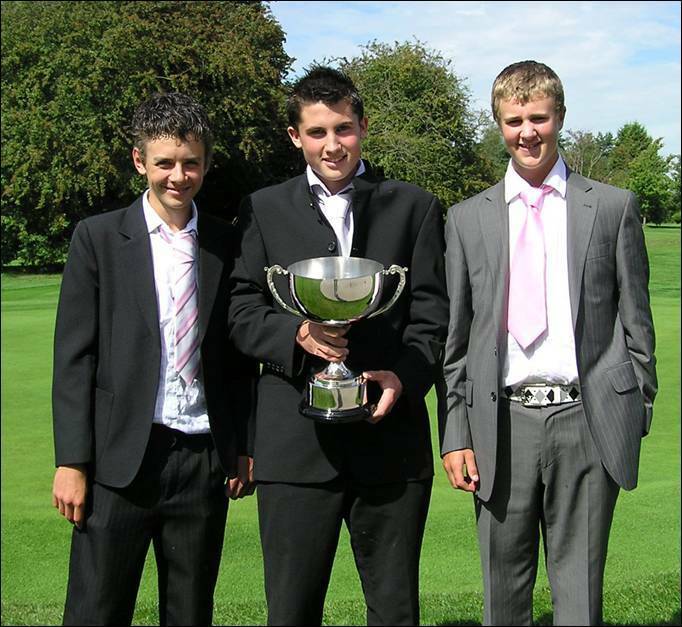 Played at East Berkshire Golf Club on Friday 11th August 2006. Some 57 players aged 21 and under contested the Championship. The course was in lovely condition and on a cool day scoring was bound to be quite good. Matthew Rendell (Reading) enjoyed a welcome return to form as he produced a very steady round of level par 69 to head the field. Adam Wootton (Oxford City) and John McNally (Stoke Park) were close behind after rounds of 71 and three other players were a further shot adrift. With a total of 11 players within 4 shots of the lead it was anyone’s guess as to who would win through in the end. Many players improved on their morning efforts having discovered which of the pin positions not to attack. After 9 holes in the afternoon, the Championship had developed into a four horse race with Paul Newman (Buckinghamshire) reaching the turn in two under par, he was just one shot behind Rendell who had had 8 pars and a bogey. Adam Wootton was also 1 behind after a steady start but Carl Corbin (Wokefield Park) seemed too far off the pace three shots adrift. Quickly the pictured changed, as Wootton dropped a couple of shots and despite a good finish he was destined to tie for third. With three holes to go Rendell had established a three shot lead and despite two birdies from Corbin he was in no danger and a dropped shot at his 16th was followed by two solid pars to see him take the title by 2 shots. This was his second win in three years and keeps up Reading’s remarkable run of success in this event. Played at North Oxford Golf Club on Friday 25th August. The event is contested by the top 6 Clubs qualifying through a Junior Medal round played at their home course between May and August. This final format is the best two net medal scores from three counting. Players are restricted to 24 for Boys and 36 handicap for Girls. The leading Club goes on to represent BB & O in the English Junior Champion Club Tournament being held at Woodhall Spa Golf Club on 21st & 22nd October. Many of the competitors were playing in their first major event but, virtually without exception, the scoring was excellent. Defending champions Calcot Park were amongst the favourites and they posted a very creditable 136 to set the early pace. Soon after, the Gerrards Cross team took the lead as all three of their players had sub 70 rounds; with Ben Ratcliffe producing a best of the day 65. Their total of 133 was really put to the test as both the Beaconsfield and Harewood Downs players posted their first two scores. Finally, neither Club could quite manage the birdie at the last that would have seen a three way tie and in the closest finish for many years in a BB&O event, victory went to Gerrards Cross. Just 4 shots separated the 6 teams and the Boys were all a credit to their respective Clubs and the Final was played in great spirit and everyone wished Gerrards Cross the best of luck in their attempt to become English Junior Champion Club later in the year at Woodhall Spa GC. 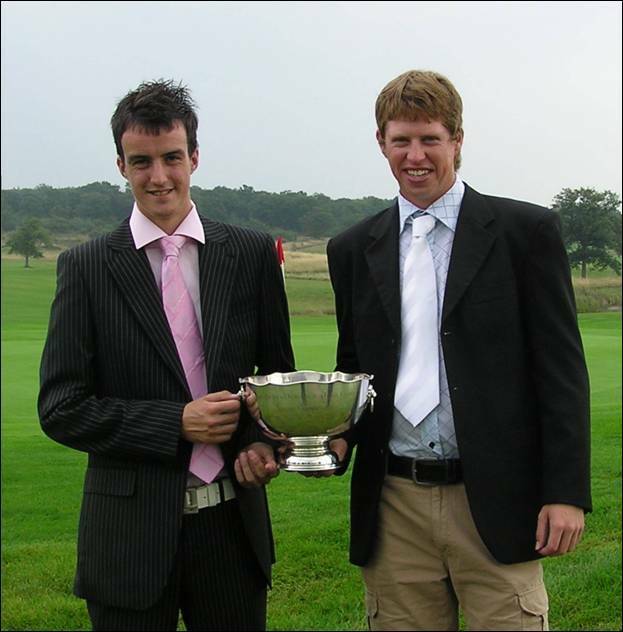 Played at Royal Ascot Golf Club on Monday 4th September 2006. Just 48 players entered and it was again disappointing that we did not have a full field to play on a top course at a bargain price. There must be 60 people over 25 under 7.5 handicap who can get the day off! Scoring was quite difficult all day, with many of the players having their first experience of the new course at Royal Ascot. With a bit of bounce and fast greens it was difficult to get close to the pins and with 6 testing par 3 threes any score in the morning around 74 was in with a shout. Leading the way was Leon Beer (Goring & Streatley) with an excellent 1 under par 69, closely followed by local favourite Malcolm Reid with 70. Kevin Freeman (Stoke Park) had a 71, despite a calamitous 4 over par 9 at his last hole and Chris Hardaker (Harewood Downs) also posted a solid 71 to challenge for the Trophy. Altogether another 7 players were in with a realistic chance of taking the title. The afternoon wind picked up and although the players had a bit more ‘local knowledge’ it looked like the more experienced players would prevail. Out first in the afternoon Malcolm Reid set the pace adding a 72 to his morning effort and was most disappointed with his finishing 4 holes. This would prove his undoing as Kevin Freeman continued his fine play and reached the turn in 2 under par to establish a commanding lead that he never relinquished. A late charge from BB&O Colts Manager Jon Carter (Reading) was not quite good enough to seriously challenge Freeman who eventually took the title with a two shot margin. The handicap prizes were also keenly contested, with Chris Hardaker (Harewood Downs) taking first prize from Gilbert Runnicles (Gerrards Cross) with Tim Shaughnessy (Reading), in third place. 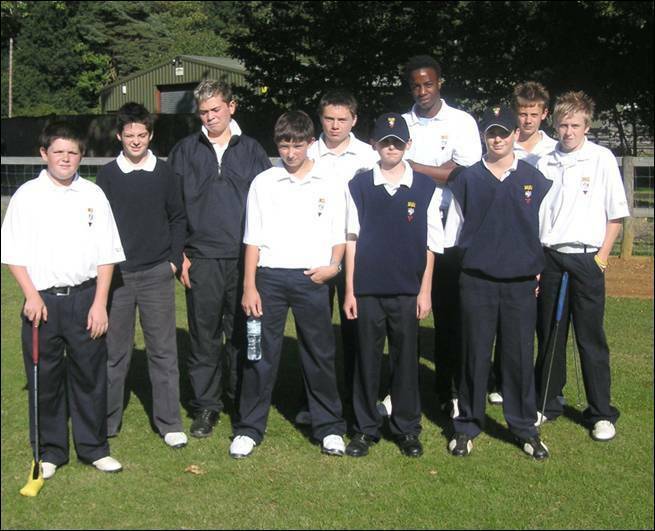 Played at Studley Wood Golf Club on Monday 25th September 2006. An excellent entry of 90 was balloted down to a field of 60 and once again consisted mainly of players of 5 handicap and below. It was good to see that we had a full field for this final Order of Merit Event. Mathew Johnson (Chipping Norton) secured the OOM title as his nearest competitors had not entered this event. 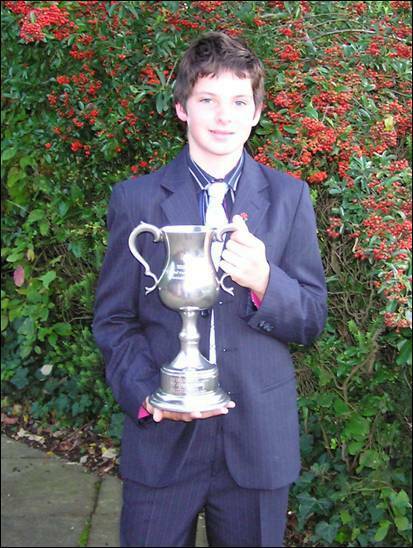 Along with his victory in the Junior OOM it has been a good year for the young golfer and he has been rewarded with a place in the England Under 16 Team to play the English Girls in the middle of October. The morning play produced some excellent golf, with 10 players equal to or less than par and 16 players within 4 shots of the leaders Adam Glass (Caversham Heath) and Adam Wootton (Oxford City); who both scored excellent two under par rounds of 70. Robert Hart (Castle Royle), David Cronin (Bicester) and local player Craig Drew were just one shot behind. The afternoon promised to provide an exciting finish. It was a bitter disappointment when the weather closed in and although not forecast, severe thunderstorms flooded the course. This in itself was not a major issue as the course drains well, but with the likelihood of lightening in the area; it was decided to abandon play as there was little hope of all players completing their second round, once the all clear was given. Player safety is a major concern for the Championship Committee who felt it was equitable for Wootton and Glass to share the Trophy for their morning round scores. In the handicap competition, David Cronin (Bicester) returned an excellent 67 net to take first place on countback from Colin Lumley (The Berkshire) and Brian Harnett (Mentmore) who also matched his score. Played at Wycombe Heights Golf Club Tuesday 24th October 2006. There was a good entry of 39 boys with handicaps of 20 or less for this Championship over 27 holes. Once again we had a dry day but with a good breeze blowing and after heavy overnight rain, the Boys found scoring very difficult; with the course playing very long just 6 boys managed to break 80. Max Smith (Newbury Racecourse) who was 3rd last year and is an outstanding prospect was just 2 clear of Harry Whittle, another fine player from the Woburn Junior section. Adam Batty (Hazlemere) was another shot further back and it didn’t seem that anyone else could challenge the leaders as they only had 9 holes in which to make an impression. With three holes to play things were very close but it was Whittle who was to finish the best coming home in 38 shots to tie with Smith who had finished a few minutes earlier. Under the rules of the Championship the winner is decided by countback and so the Title went to Harry Whittle with Max Smith as Runner-Up and Sam Williams (Castle Royle) finishing 3rd a further 3 shots back. We will see more of these young men in the years to come as their undoubted talent comes to the fore. In the handicap prize section Harald Gimre produced two excellent scores to completely dominate the field, eventually winning by 9½ shots from Charlie Butler (Donnington Grove) with Rhys Hargreaves (Sonning) in third place. 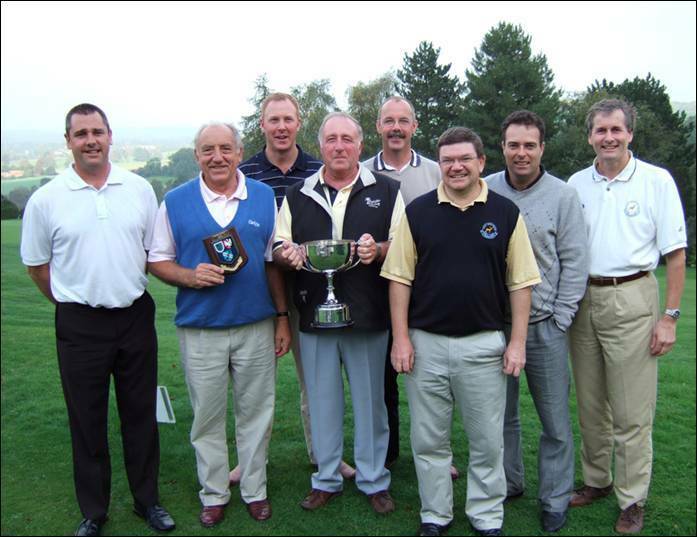 Magnolia Park Golf & Country Club and East Berkshire Golf Club met in the 15th Hillman Trophy Final at Temple Golf Club on Saturday 14th October. Play is over 18 holes singles matchplay for a seven man team, with each team having three players in handicap range 6 to 9 and four with a handicap of 10 and over up to a maximum of 20. With the first 6 games being shared it was left to the last pair to battle it out for the Trophy. East Berks were 1 up coming up the last and in a tension filled atmosphere, Bob Horrocks bravely holed the tricky 2ft putt to seal victory. As usual, the final was played in a competitive but very friendly spirit and all the players enjoyed the experience and wished to pass on their thanks to Temple Golf Club for hosting the final. 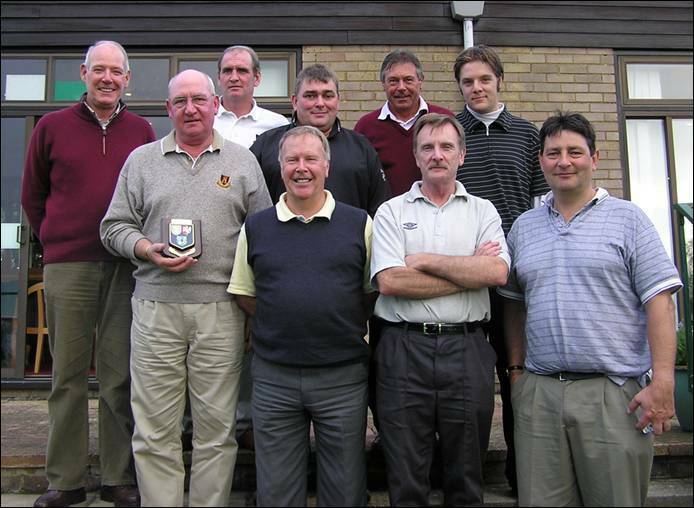 East Berkshire: Martin Green, Bob Horrocks, Michael Joyce, Paul Manning, Richard Ramsden, Peter Taylor (non playing Captain), John Schofield, Marcus Swanston. Magnolia Park: Andy Barr, Mike Cunningham, Des Boulter (Captain ), John Paul Clouden, Bob Darvill, Clive Pusey, Sean Stanley. 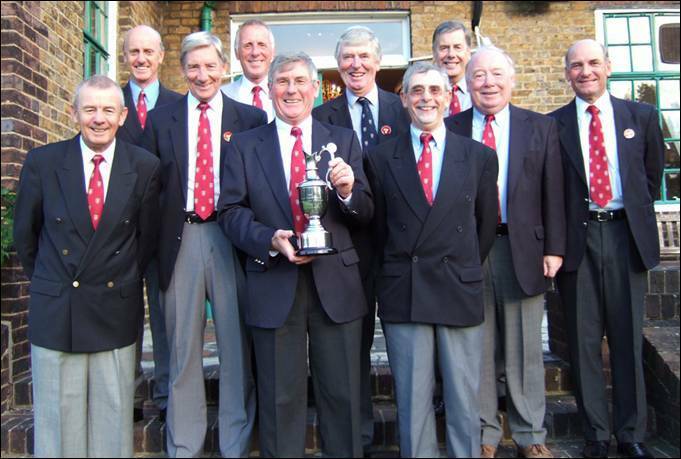 Sonning Golf Club and Temple Golf Club met in the 12th Hillman Trophy Plate Final at Ellesborough Golf Club on Saturday 21st October. Play is over 18 holes singles matchplay for a seven man team, with each team having three players in handicap range 6 to 9 and four with a handicap of 10 and over up to a maximum of 20. It was Sonning's first appearance in a final but the 4th for Temple and their experience proved the major factor in their 4½-2½ win. As usual, the final was played in a competitive but very friendly spirit and all the players enjoyed the experience and wished to pass on their thanks to Ellesborough Golf Club for hosting the final. Temple: Keith Adderley, Chris Dickens, Malcolm Edwards, Richard Edwards, David McConnell, Gareth Rogers, Stephen Vincent, John Watt. Sonning: Paul Bossom, Ian Gale, Keith Hodson, Robert Staples, Tony Staples, Mark Thompson, Richard Wright.